Pace University’s GenCyber teacher workshop has completed its third year! 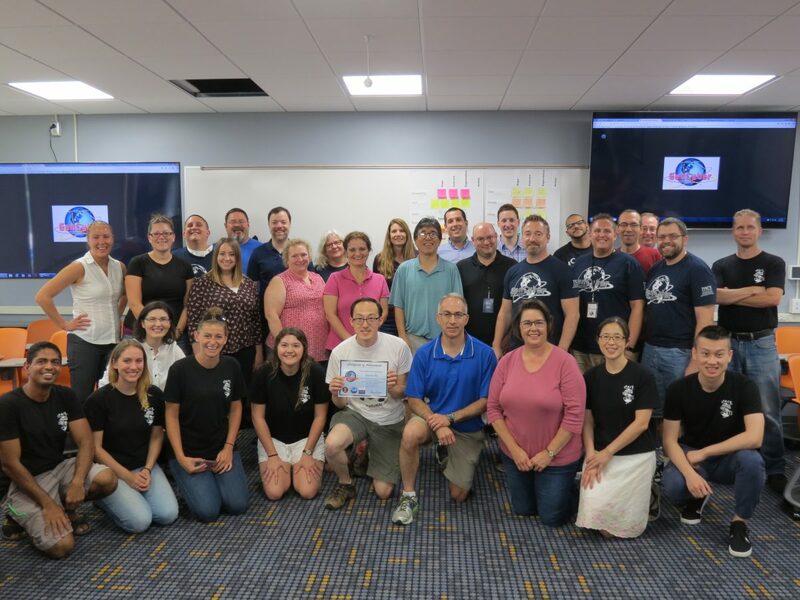 The NSA and NSF-funded program, organized and run by the Seidenberg School, took place from July 13-21 and involved a wonderful cohort of high school teachers from across the nation attending lectures, discussions, lab exercises and activities pertaining to topics in cybersecurity. 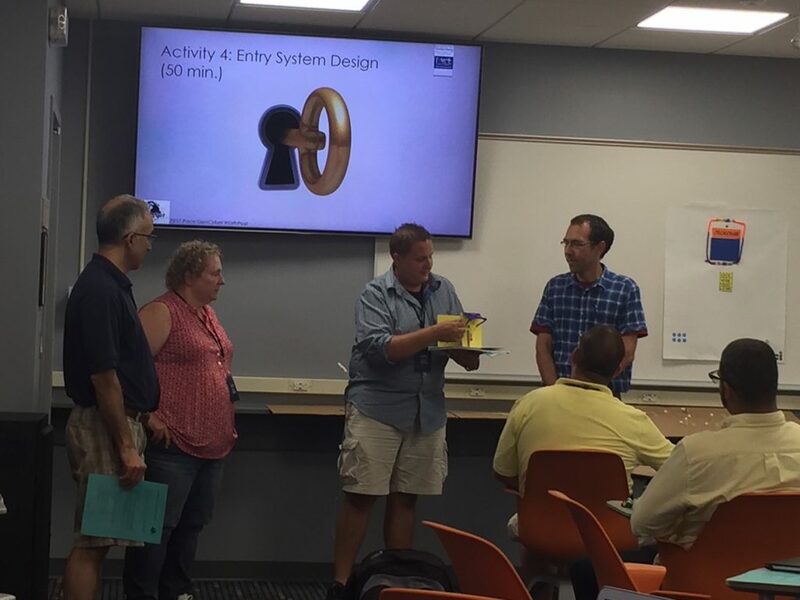 Twenty-three high school teachers attended the Pace University Pleasantville campus to learn fundamental cybersecurity concepts and to study new resources and methods to facilitate integration of cybersecurity material into their class curricula or after-school activities. 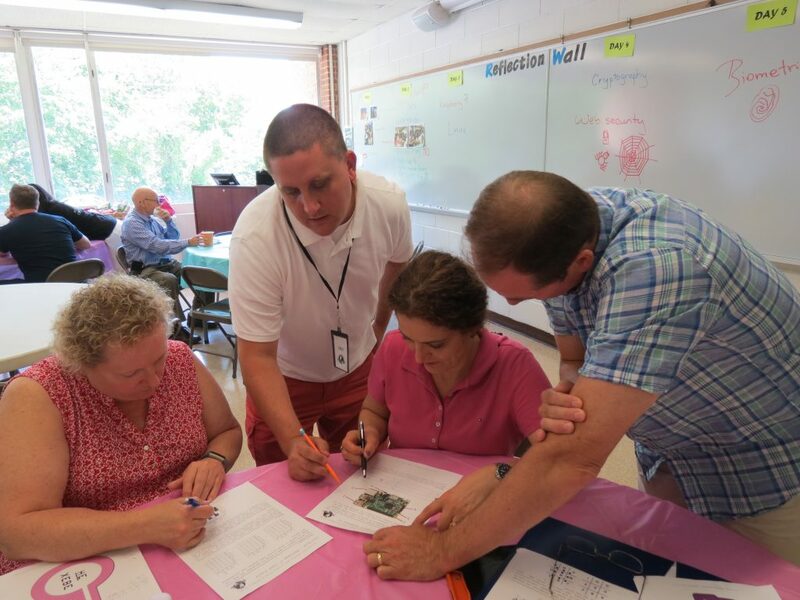 Workshop participants were introduced to cybersecurity first principles, cryptography, web security, access control, biometrics, and cybersecurity analytics. 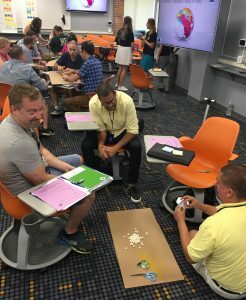 The curriculum, designed and delivered by Seidenberg faculty and staff, was based on a combination of interpersonal, intrapersonal and kinesthetic learning activities that aimed to ensure participants got the most from their time at Pace University. 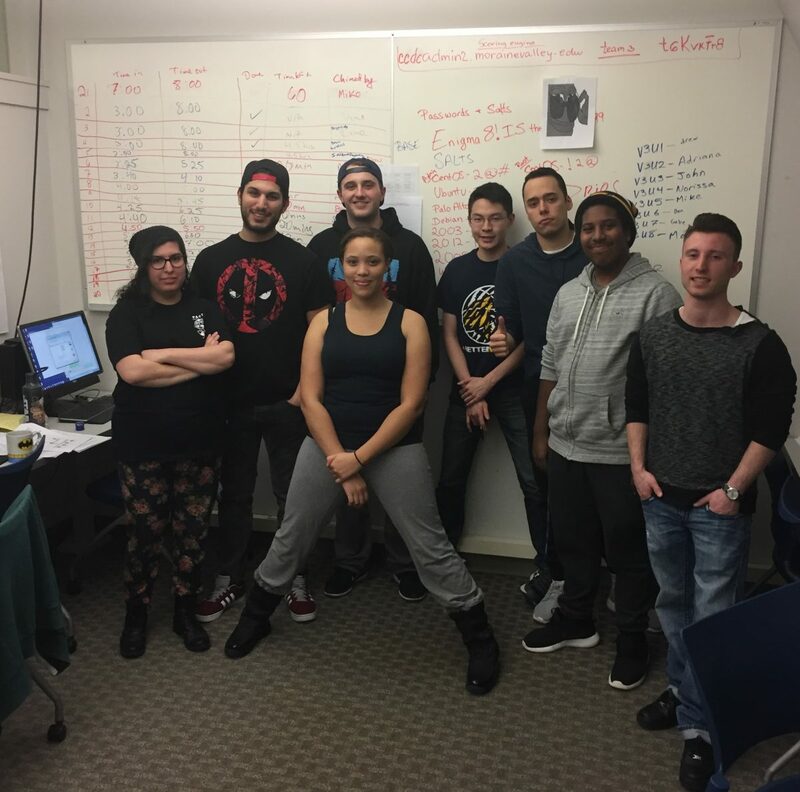 The GenCyber program is part of Seidenberg’s outreach efforts to infuse STEM and cybersecurity education into high school classrooms. As a National Center of Academic Excellence in Cyber Defense Education, Pace strives to prepare the next generation of cybersecurity professionals for the challenges of the future. 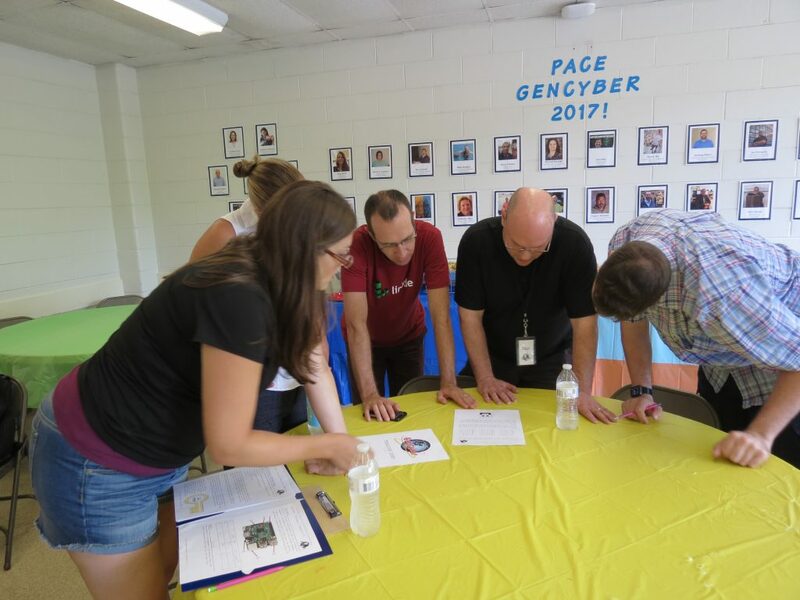 Through programs like GenCyber, Pace University supports teachers across the country in teaching the fundamentals to their students. Andreea Cotoranu, Assistant Dean of Academic Innovation and program director said that “through Pace GenCyber we aim to educate high school teachers about cybersecurity. Curricula taught in high schools is particularly well suited for integration of cybersecurity, since cybersecurity problems can often be reduced to the fundamentals of mathematics and computer science. Pace University’s Seidenberg School of Computer Science and Information Systems, supported by the Association of Chartered Certified Accountants (ACCA), will train finance professionals in cybersecurity and cyber defense in August this year. The course – Foundations of Cyber Defense for Accounting – was announced after Pace University’s recent designation as a Center of Academic Excellence in Cyber Defense Education (CAE-CDE). It will take place on Pace’s Lower Manhattan campus and is taught by Dr. James Gabberty, a seasoned Information and Communication Technology practitioner with more than 30 years’ experience in academia and industry. Pace University worked to build the course’s contents in order to address the increasing cybersecurity crisis that affects every country. A 2016 ACCA report deemed cybercrime too dangerous and powerful to ignore; the Seidenberg School has for many years now trained new cybersecurity professionals to combat the growing threat. The course will take place on August 4. Interested in attending? Register! Read the full press release about Pace University’s new cyber defense for accounting course. Pace University, through the Seidenberg School of Computer Science and Information Systems, became one of the country’s few Centers of Academic Excellence in Cyber Defense Education (CAE-CDE) with a new designation from the Department of Homeland Security (DHS) and the National Security Agency (NSA). The designation, which was earned following a rigorous examination of our School’s academics and research, replaces our previous title of Center of Academic Excellence in Information Assurance Education. 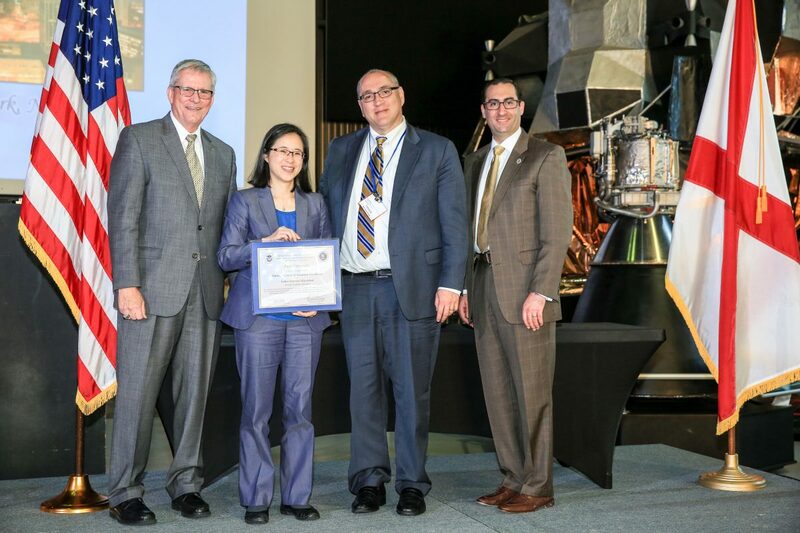 Dean Jonathan Hill and Dr Li-Chiou Chen, chair of the information technology department, traveled to the 9th Annual National Cyber Summit in Huntsville, Alabama, to accept the designation. 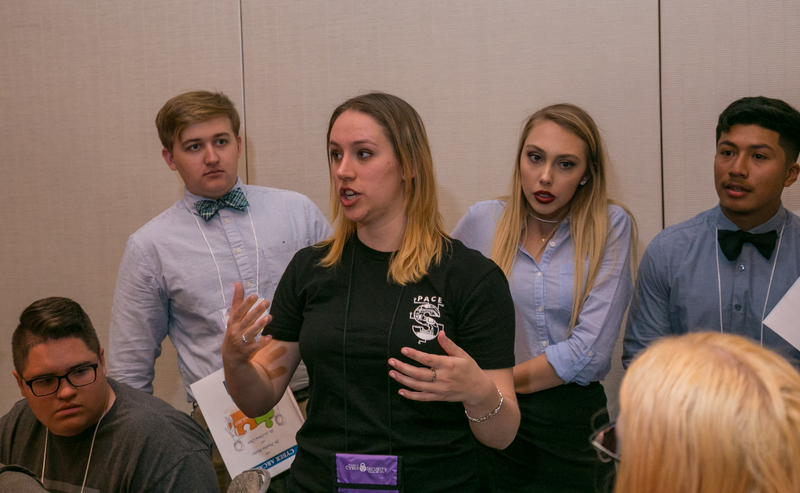 The conference is an annual gathering of industry, government, and academic institutions in the area of cybersecurity education. Dr Hill and Dr Chen received the designation from Dr Leonard T. Reinsfelder, Commandant of the National Cryptologic School at the National Security Agency, and Mr Daniel Stein, the Acting Branch Cybersecurity Education and Awareness in the Office of Cybersecurity and Communications at the Department of Homeland Security. Dr Chen directs the Seidenberg Cybersecurity Education and Research Lab alongside Assistant Dean for Academic Innovation Andreea Cotoranu. The lab aims to address the acute shortage of cybersecurity and information assurance professionals in industry by focusing on education, research, and partnerships with academic, industry, and government. See the press release on our new designation. Most team members placed individually in either the silver or the coveted gold brackets of the competition going up against the best of the best nationwide. Of the over 2000 competitors only the top 15% will compete in the gold bracket, while the following 35% will make it to silver. This season, 1,891 students/players and 269 faculty/ coaches from 291 two- and four-year schools in 43 U.S. states registered to play in the Preseason/Regular Season. The Pace Cyber Team also went on to compete in the Silver Bracket of the post-season team competition where they ranked 11th overall in their bracket and placed 27th nationally out of 152 teams from over 108 college/universities in 35 states. The team scored 2,635 points and captured 121 of the challenge flags. For comparison purposes, the national average for this competition was only 1,655 points and just 83 flags. 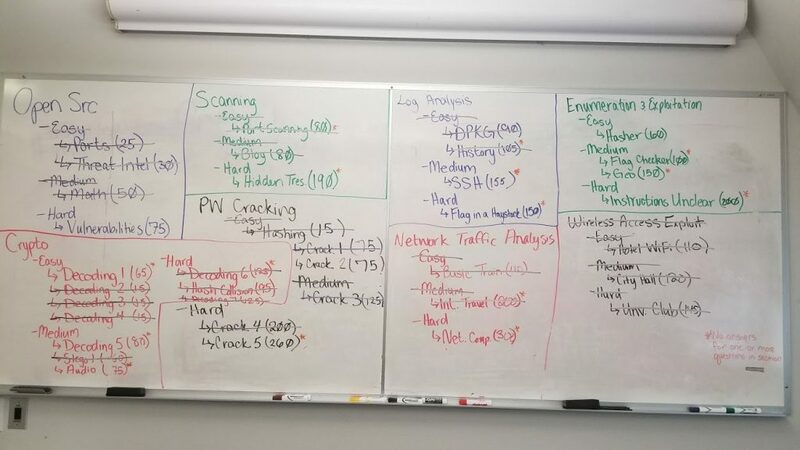 Even more remarkable, the Pace Cyber Team ranked 1st in their bracket and 4th overall in Wireless Access Exploitation. In addition, the team placed 6th in the silver bracket and 14th overall in Network Traffic Analysis, and 8th in their bracket and 16th overall in Cryptography. Moreover, the team ranked among the top 25 teams in the silver bracket for every challenge category. Kaitlyn Bestenheider (MS/CS ’18), Adriana Aluia (BS/IT ’17), Cesar Castro (BS/IT ’18), Michael Gabriel (BS/IT ’19), Andrew Ku (BS/IS ’20), Norissa Lamaute (MS/CS’17), Benjamin Longobardi (BS/CS’19), and Gabriel Rivera (BS/IT’17). Congratulations to all for a great performance this season! The Pace Cyber Team would like to welcome anyone with an interest in cybersecurity to train and compete with us in the 2017 fall season. Contact Andreea Cotoranu, Assistant Dean for Academic Innovation (acotoranu@pace.edu) with questions. Want to read more? 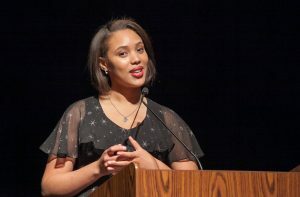 Check out Kaitlyn Bestenheider’s blog, Kait Tech, for further coverage of the event. Thanks so much to team captain Kaitlyn for writing this student blog post! 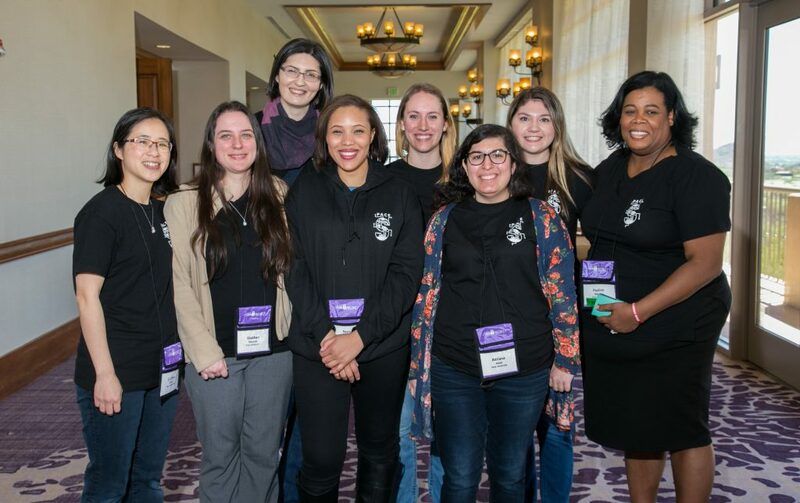 A team of Seidenberg students and faculty jetted to Tucson, Arizona, for the fourth Women in Cybersecurity (WiCyS) conference, which took place on March 31-April 2, 2017. Seidenberg students applied for and obtained travel scholarships from Cisco, Facebook, as well as the Pace CyberCorps program in order to attend this event. 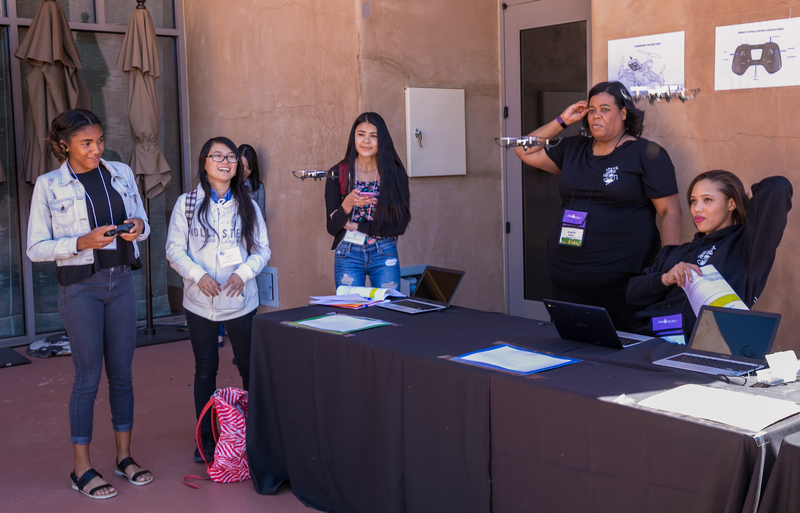 This year, around 800 cybersecurity including students, academics, and industry professionals attended the conference for technical workshops, career advice sessions, mentoring and networking, inspirational keynote talks, and a career fair. Some of the companies in attendance included Google, Cisco, Facebook, IBM, AT&T, Bank of America, and the U.S. intelligence. Who was on the Seidenberg School team? Students Norissa Lamaute (MS/CS’17), Siobhan Kiernan (MS/CS’19), Kaitlyn – Kait- Bestenheider (MS/CS’19), Adriana Aluia (BS/IT’17) and Elizabeth – Lizzie- Molloy (BBA/IS’18), as well as faculty Dr. Li-Chiou Chen, Dr. Pauline Mosley, and Andreea Cotoranu attended. The Seidenberg team wasn’t just at the conference to take it in – they were active participants. On the conference’s GenCyber day, which was filled with activities designed for high school students, the team hosted a Cyber Arcade. The arcade is a set of five challenges: cyber jeopardy, raspberry pi puzzle, cryptography with cipher wheel, mini-drones, and password strength. Seventy-five high-school students and teachers from the Tucson, AZ area attended the arcade, designed and run by Drs. Chen and Mosley with assistance from the entire Seidenberg team. Seidenberg was also represented on the conference main stage! Norissa Lamaute gave a lightning talk on Musical Cryptography. Norissa’s research implements musical theory to create a consonant cipher that allows for the exchange of secret messages. This project also includes the work of Alexa Piccoli (MS/CS’16) and is advised by Dr. Chen and Andreea Cotoranu. Kait Bestenheider added that “the opportunity to meet with so many successful women in a field where women make up only 11% of the demographic was simply amazing. While sometimes we might be the only woman in the room, there were almost a thousand of those women in the same room . . . This is a network of women ready to inspire and lead other women to their own success.” Kait covered her experience in her blog, Kait Tech. 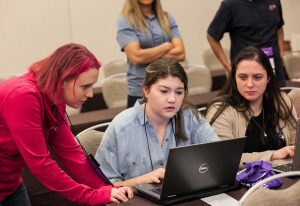 Now that the 2017 WiCyS concluded, we have just started preparing for the 2018 event! We look to continue Seidenberg’s legacy of WiCyS engagement by presenting in the poster session, giving talks and hosting workshops at the 2018 WiCyS in Chicago, IL. If you have an interest in cybersecurity or you are currently working on research projects in cybersecurity, we would like to speak to you. 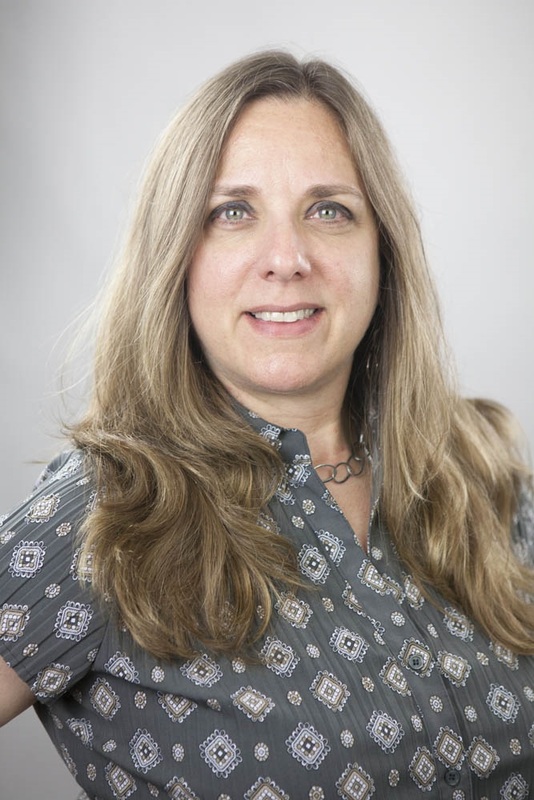 Contact Andreea Cotoranu, Assistant Dean for Academic Innovation (acotoranu@pace.edu) with questions.